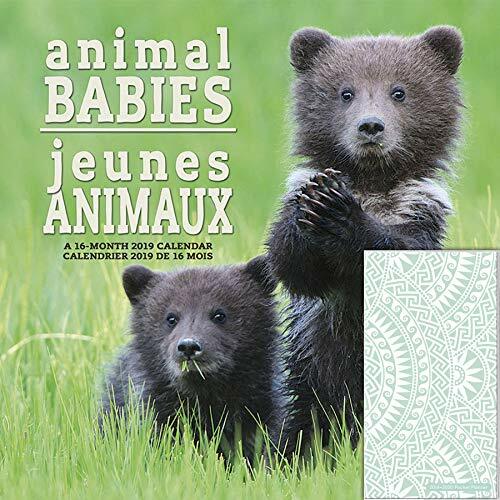 The bilingual 2019 Animal Babies/Jeunes animaux wall calendar provides all the cuteness of wild animals, without the risk of their claws and teeth! Sixteen-month wall calendars feature spacious grids for each month in 2019 as well as the last four months of 2018, printed on paper certified by the Forest Stewardship Council. Bilingual English/French.